We are delighted to invite you aboard for the 69 Colebrooke Cruise! 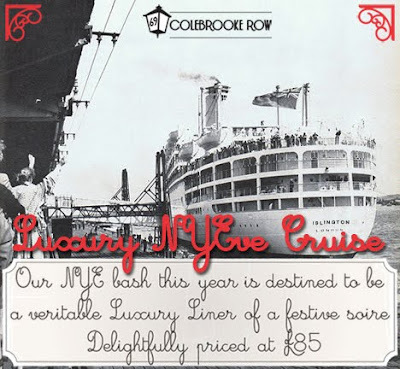 What better way to usher in the new year than with a luxury liner party. The proceedings will kick off at 8pm, and for a mere £85 an all inclusive affair will whisk you away singing and dancing long into the night. Call or email for more details!